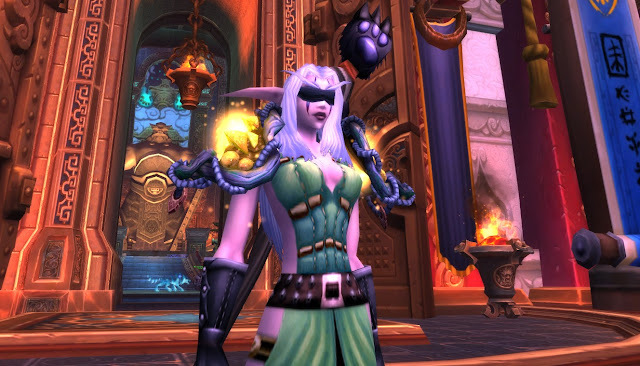 Delcarmen doesn't get much play time, so currently she only has one primary mog. It differs here and there, but mostly sticks with the base items. I really liked my last version of this, but I didn't log the look/lost some pieces. Luckily, I like playing dress-up. Shoulders- Deep Earth Mantle (Raid Finder)- This is the Raid Finder Restoration Druid shoulders, the other specs are identical. 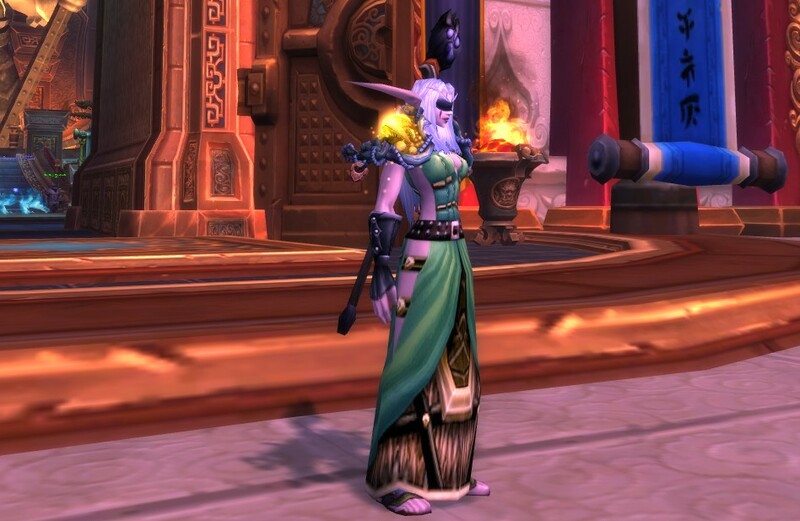 The Heroic and Normal versions of these shoulders also look good with the set. Click the link to find "same model as" shoulders, there are too many to list here. Gloves- Scouting Gloves - BOE drop from lvl 19-23 mobs primarily in Eastern Kingdoms; These can be hard to find, Scouting Garb is one of the few (if not the only) truly black leather armors. This is highly sought after, expect high prices in the AH. Feet- Boots of Fungoid Growth - 1650 Justice Points from your respective JP Vendor; This part of the set isn't as important since they're not all that visible. 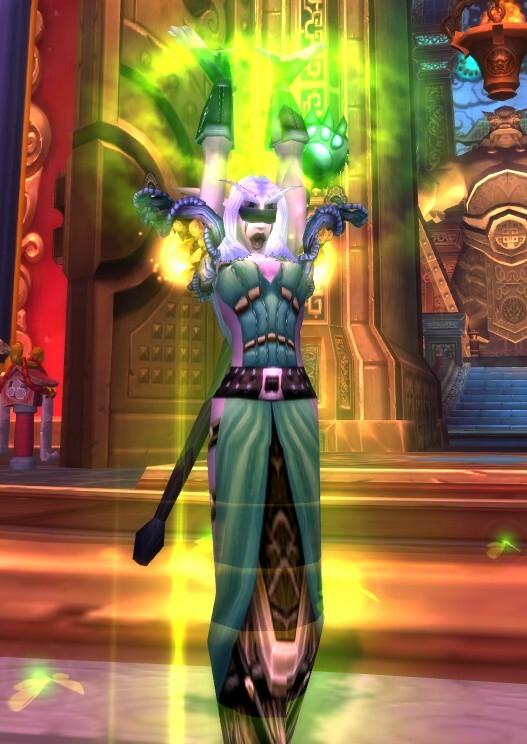 Staff- Braxxis' Staff of Slumber - BOE drop from lvl 60-65 mobs in Outlands. Can also be found in chests.